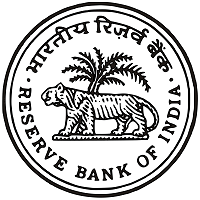 This exam is conducted by the Reserve Bank of India and it is a National Level Exam.This is the bank exam held for recruitment for the various positions at RBI offices across the country in its various branches. This exam is conducted only in Online mode. House Rent Allowances (HRA): Officers who are living in other towns or cities and not in their hometown, HRA is given only to them. A Grade B Officer generally gets 2/3 BHK flat depending on the availability in the city. Medical allowances (MA): Medical bills can be reimbursed only if declared. This allowance is also valid for the person who is dependable to the employee as well. The Annual reimbursements for Medical approx INR 4000. Education allowances: Only selected officers receive education allowances for their kids. The reimbursements of education allowances up to INR 4000/month. Leave Fare Concession Travel (LFC): One of the best allowance that RBI gives to Grade B Officer is LFC Travel allowance. Once in two years for self, spouse and eligible dependents, the bank provide around INR 107000 per person for this. Increments for Qualified/Experienced candidates: For candidates possessing very high academic or professional qualification/experience of significant value to the Bank, the Bank may consider granting up to four advance increments. This is done at the interview stage only. Any requests for higher remuneration or advancement in a post cannot be done after the interview. Probation: The initial appointment will be on probation for a period of two years, this includes a 15-week training programme at the Reserve Bank Staff College. At Bank’s discretion, the probationary period may be extended up to a maximum period of four years. Posting: Selected candidates are liable to be posted and transferred anywhere in India.